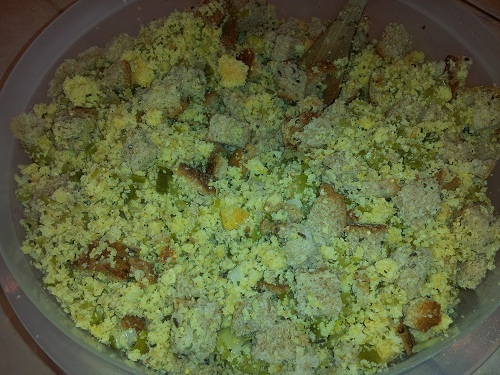 This cornbread dressing recipe is a staple in my family. My mother is Southern. I never knew that there was actually another type of stuffing besides cornbread, until I was an adult. 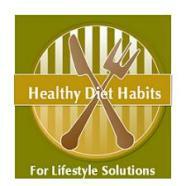 This is her recipe that I have lightened which is a healthy diet habit that I usually follow. 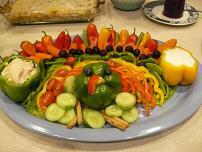 Healthy recipes are a good choice for the caloric Thanksgiving meal. 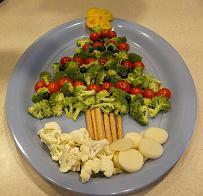 She cooks her onions and celery in butter and adds extra butter to the stuffing mix at the end, if it is too dry. I have deleted butter from the mix and cook the vegetables in broth, and I added an extra egg for moisture. My Mom, also uses the turkey inwards and boils them with water and makes her own broth. You can do that too, but I am lazy and cheat with low sodium chicken broth. Your choice! The difficult part of dressing is adding the broth. If you add too much, your dressing will be mushy. If you add too little, your dressing will be dry. It is a learned skill and it’s hard to give exact liquid measurements, because different breads absorb different amounts of liquid. Dressing will dry out as it cooks too, so it should be fairly wet to start. I usually check the mix, half way through cooking. If the stuffing looks too wet, I remove the foil early to dry it out. Dressing is kind of an art, but the final product is worth the process! Day before: Prepare cornbread recipe ahead of time. Use a recipe that has very little sugar. When it is done and cooled, crumble it in a large bowl. Crumble the wheat bread in the bowl too. Day before: Chop onions and celery. 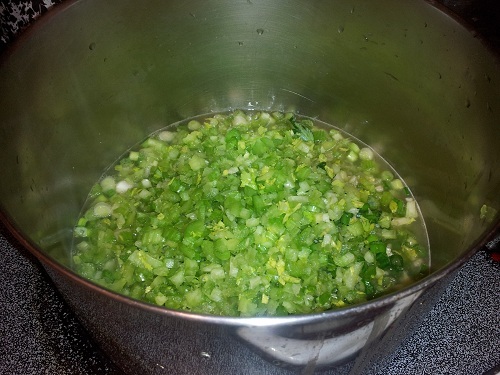 Add 1 cup of broth to a frying pan and cook the onions and celery until they are soft. 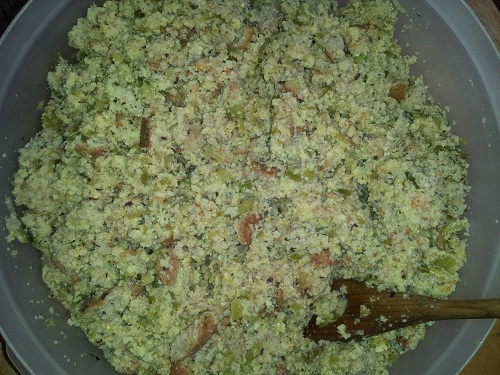 Pour into a container and refrigerate. Add the bread, cooked vegetables, half of the broth, eggs, and seasons to the stuffing. You might need to add extra broth or an extra egg because good dressing is about having the correct amount of liquid. Different types of bread or different stages of dried out bread need differing amounts of liquid. Cover with foil and bake at 325 for 45 minutes. Uncover and bake another 15 minutes until the top browns. 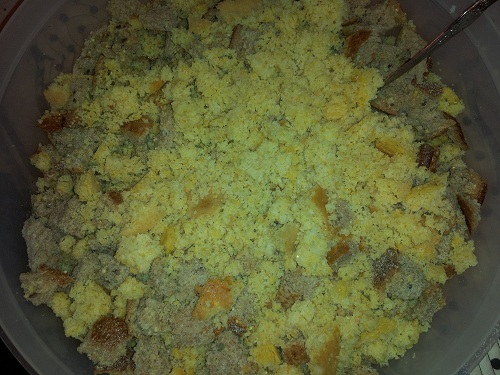 I always take this cornbread dressing recipe to every Thanksgiving event that I attend, whether I am asked to or not! It is so good and Thanksgiving would not be Thanksgiving without it! I guess I am a little more Southern than I thought! I read an interesting article that said if you place dressing inside of your turkey, it should be called stuffing and if you cook it in a pan, it should be called dressing. It’s the exact same recipe, but cooked differently. My mom is Southern, we call it dressing, and I always cook it outside of the turkey because I know it will be cooked to perfection, because I can see it. 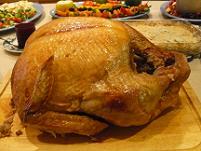 Plus, I like dressing to be browned on top and dry, and stuffing cooked inside the bird is wetter than I like.